Sturdy orange nylon bags with bright floating safety rope inside. Compact and easy to throw. Handle and snap attached for hanging anywhere so it is always handy. SAFETY THROW BAG - 1/4" X 50' Floating Safety Rope packed in a tough orange nylon bag with draw string and handle to hang it anywhere. 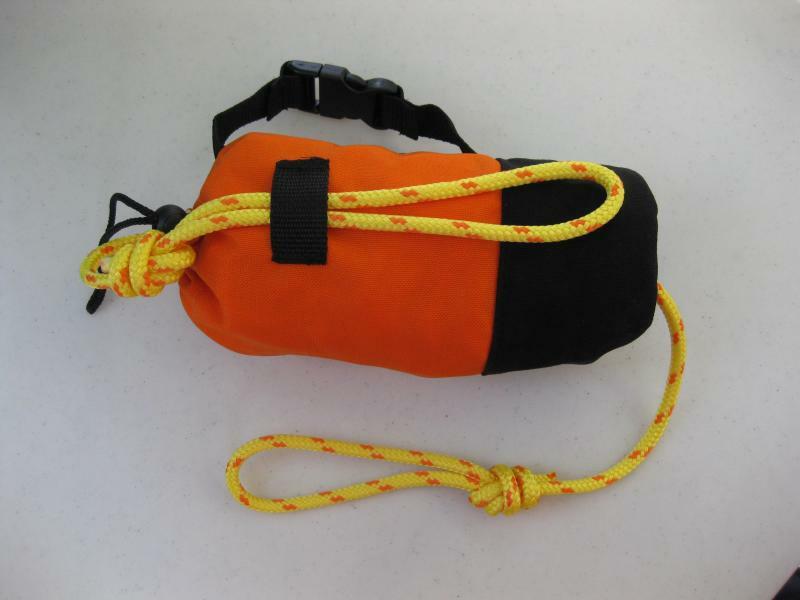 SAFETY THROW BAG - 3/8" X 50' Floating Safety Rope packed in a tough ornage nylon bag with a draw string and handle to hang anywhere. SAFETY THROW BAG - 3/8" X 75' Floating Safety Rope packed in a tough orange nylon bag with a draw string and handle to hang anywhere.